Target for football and handball for recreational trampolines. 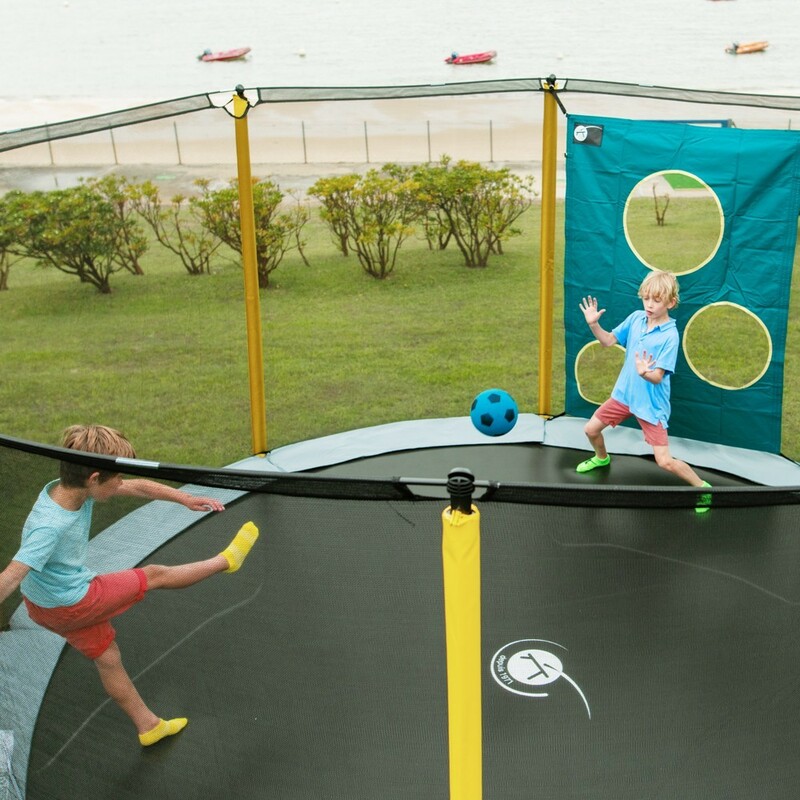 The trampo-football is an original, fun and sporty accessory that will add a new level to your trampoline sessions. It is a canvas designed with 3 targets. The aim of the game is to score points by throwing the ball through the holes! The trampo-football is one of our younger customers’ favourite games! 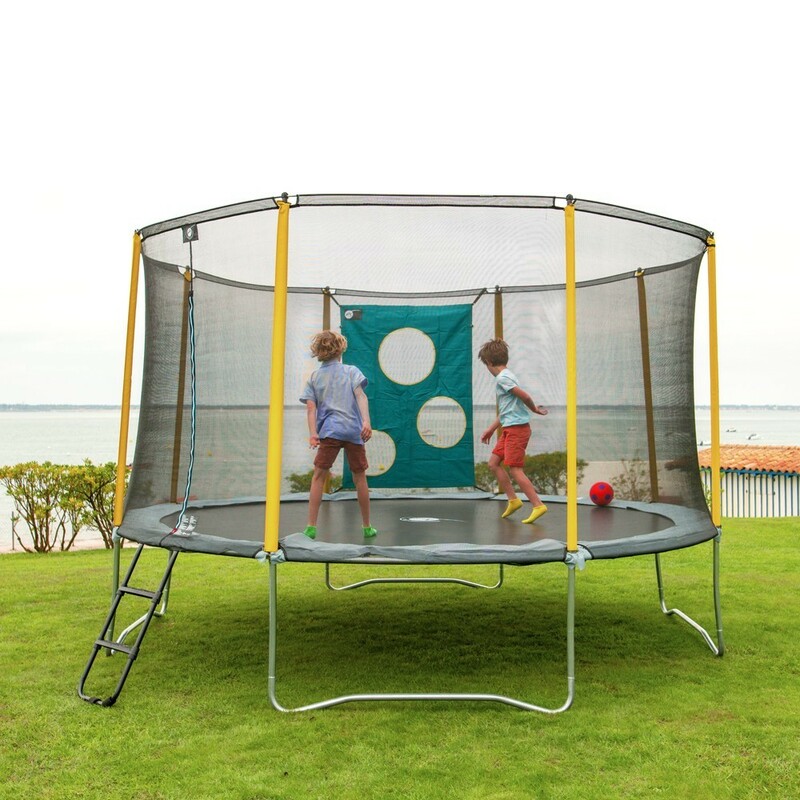 It is suitable for all 3m wide or bigger trampolines. 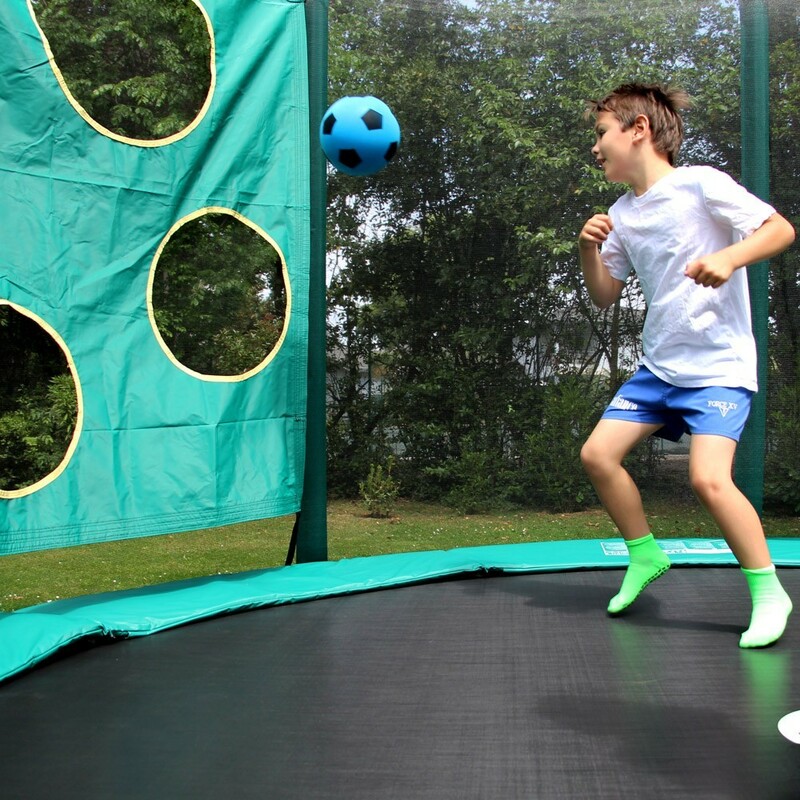 - The trampo-football is quick and easy to install, attach it to the adjustable straps at the top of the net posts on the enclosure and at the bottom under the springs. - Made from PVC, the canvas is incredibly resistant, the edges have been treated (large reinforced bands all around) to avoid any risk of tearing. 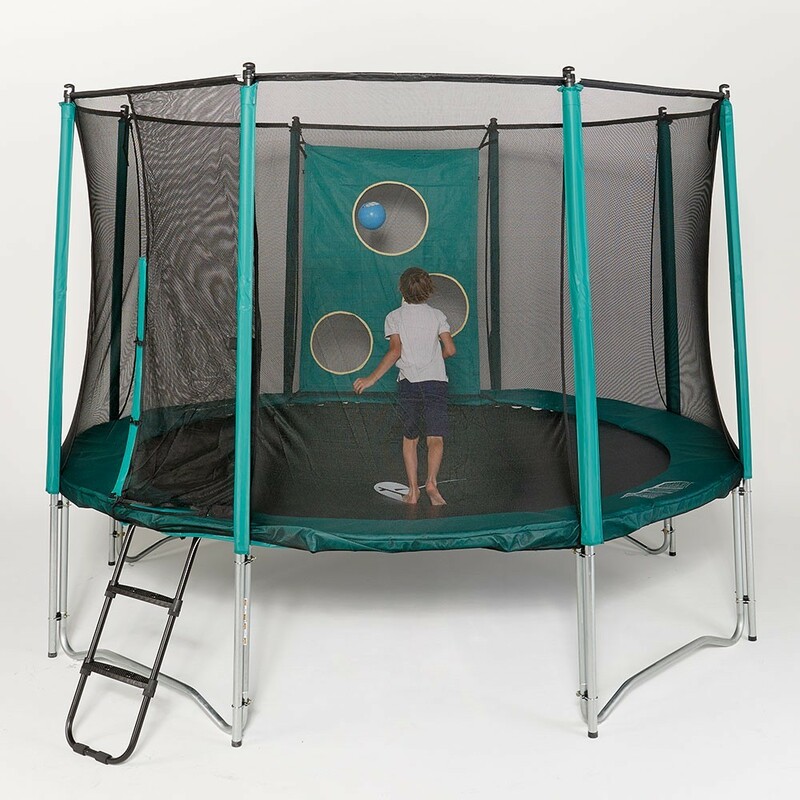 - Requiring constant movement, this accessory will improve your child’s balance and hand and foot dexterity. 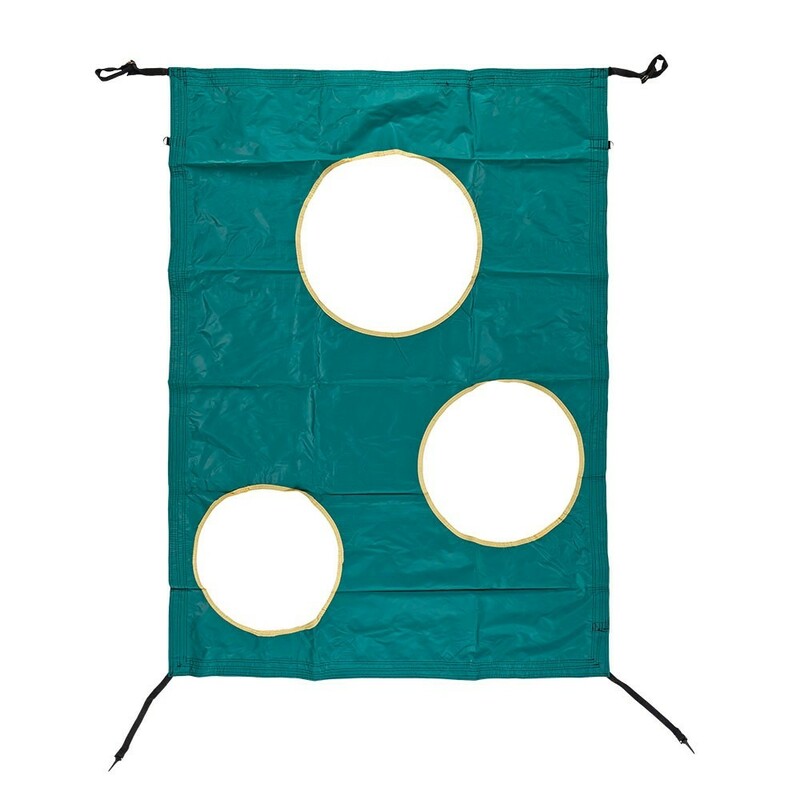 - A fall protection net located on the outside of the frame pad so the ball has space to pass. - Net posts with plastics ends at the top would be most suited for an ideal grip. C'est un plus. 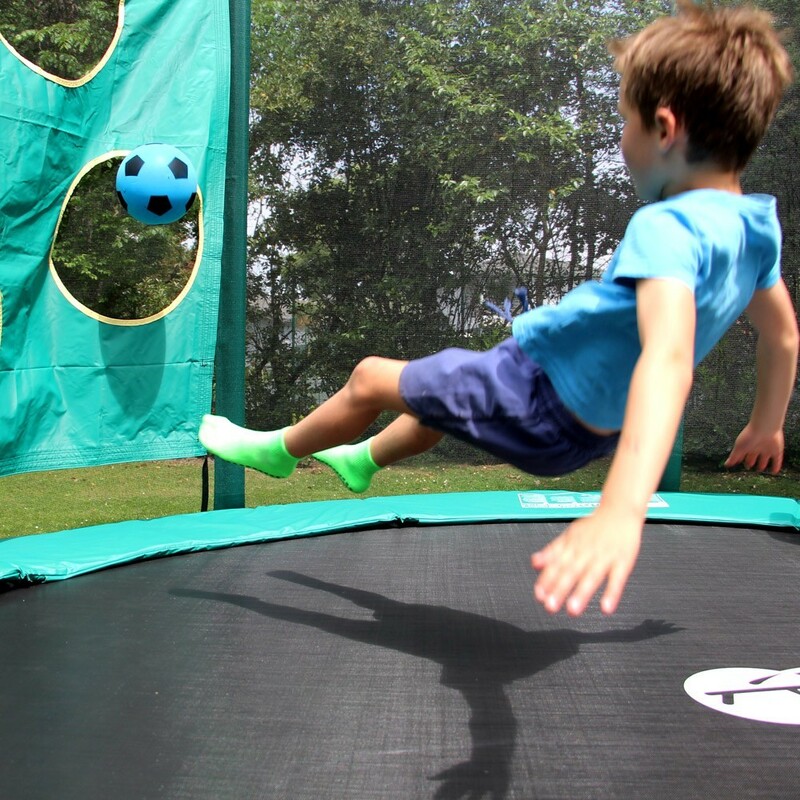 Cela permet d'utiliser le trampoline d'une autre manière.